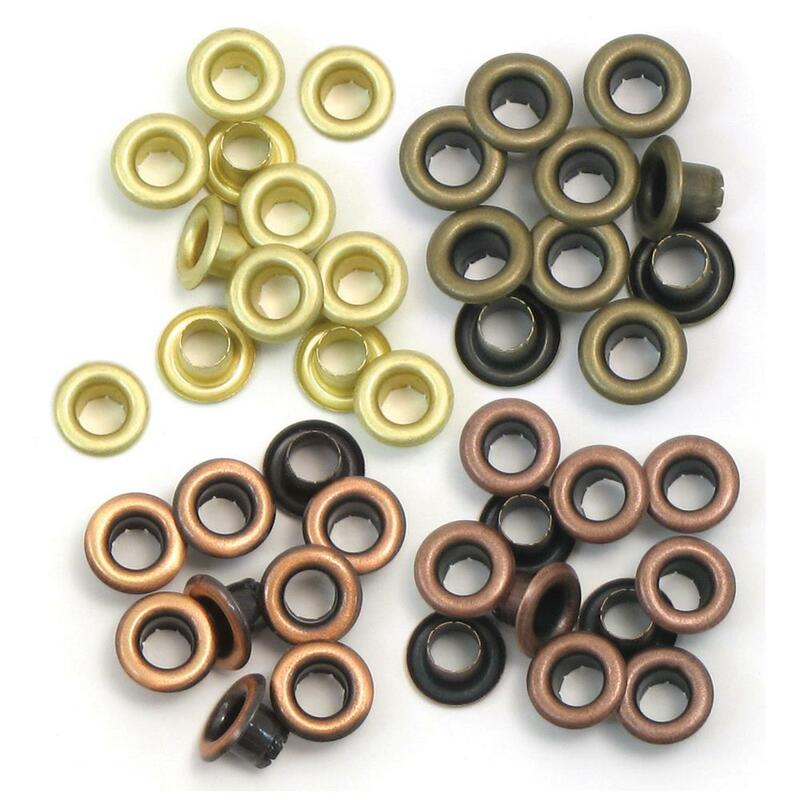 This package contains 60 (sixty) 3/16 " Eyelets. You'll find 15 (fifteen) of each color - Black, Brass, Gold & Copper. Product by We R Memory Keepers. Note: This package doesn't contain any Washers.